I am adamant about extending thematic units for three weeks to a month when working with language groups. Students need time to learn the vocabulary, language concepts, and might even be able to retell the story with some details after a month of repetition. Read the same literature selection at least four, five, or six times. Additional sessions might include a picture walk of the book or an adapted book - you might tire of the story, but your students will not. I am not saying that you need to read the same book and ask the same questions during every session. Your sessions definitely need some variety. Add activities that build on the vocabulary and skills you are teaching. If the activities work (sometimes they don't), repeat those as well. And, if you are repeating activities and using the same theme for a longer period of time, you are planning less and enjoying life a little more. That said, here are enough penguin resources to get you through at least three weeks of language sessions! 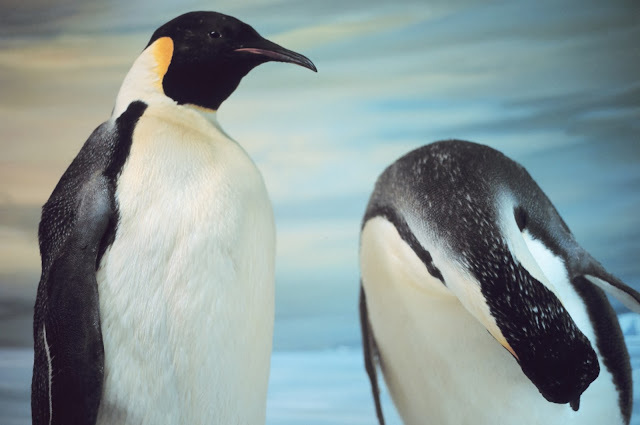 A Teacher Without a Class has great penguin facts and photos on her blog. AND, free vocabulary cards (with definitions and pictures) as well as vocabulary activities - FREE at her TpT site. 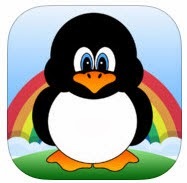 As of today, there are an additional 16 FREE speech therapy penguin activities at Teachers pay Teachers. Rumble Grumble Gurgle Roar at YouTube (formerly at NickJr); the story of a hungry, little penguin. Narrated by Whoopi Goldberg. See the flannel board version at Putting Smiles on Faces. Read Penguin Party, a story at lil-fingers.com. There is a talking penguin on the Happy Feet Two: The Penguin App who will imitate your students without inappropriate noises. Check out Penguin and Pinecone, A Friendship Lesson For Speech Therapy at Play on Words. Find a penguin craft with visual supports / sequence cards at Chapel Hill Snippets. She shares a link to Penguins, Penguins at Tar Heel Reader and, on another post, is a version of this counting book in Spanish. You are not alone if you like Tacky the Penguin by Helen Lester. Fun in First has some wonderful freebies to use when working on adjectives, comparisons, and complex WH questions. Wise Owl Factory Book a Day has three posts pertaining to books about Tacky and all have FREE downloadable activities that can easily be used with a variety speech and language activities. 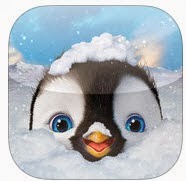 Penguin songs, videos (including Tacky the Penguin) and more on the app, Winter Animals Videos, Games, Photos, Books and Activities for Kids by Playrific (As of January 2016, this app is $.99). Download the free Penguin Memory / Describing Cards from Playing with Words 365. I like My Itsy Bitsy Penguin Book and My Penguin book (for writers) found at KidZone. Making Learning Fun always has good ideas. Adapt the Penguin Sight Word Feed for students working on articulation or phonological processes - use the blank cards to make your own fish. I like the emergent readers. There are two on this page. Van Woert, Michael. Stuffed emperor penguins on display in the Canterbury Museum in Christchurch, New Zealand. 1979. NOAA At The Ends of the Earth Collection. NOAA Photo Library. Web. 1 Jan. 2014. Thank you for featuring my entries about penguins! It was so fascinating to learn about them.